Cryogenic microscope; hydrophobic microscopy; Jordan research center. 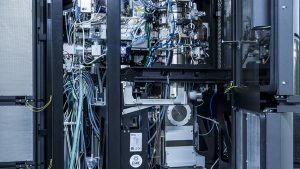 The European Synchrotron Radiation Facility (ESRF) has developed and commissioned a new cryo-electron microscope. A form of transmission electron microscopy (TEM), cryo-electron microscopy (cryo-EM) is used to study a sample at cryogenic temperatures. A gas is assumed to be cryogenic if it can be liquefied at or below −150 °C. Cyro-EM is often used in structural biology. In one application, a cryo-EM is used to freeze biomolecules mid-movement. Then, the structure is imaged at atomic resolutions. The system allows researchers to produce films that reveal how molecules interact with each other. Seeking to improve the ability to characterize hydrophobic surfaces, Finland’s Aalto University has developed a new measurement technique called scanning droplet adhesion microscopy (SDAM). SDAM is used to characterize the wetting properties of super-hydrophobic materials. Wetting is a phenomenon, which represents how well liquid spreads on a surface. At times, for example, water can come into contact with a water-repellent surface. Then, the droplets bead up and roll off the surface. This is an example of a hydrophobic surface. 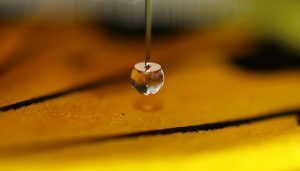 Researchers hope to gain a better understanding of the properties of hydrophobic or super-hydrophobic surfaces at the nanoscale. The problem? It is challenging to quantify and map the microscopic variations of wettability on surfaces. Existing contact angle and force-based methods lack sensitivity and resolution, according to Aalto University. In comparison, SDAM is 1,000 times more precise than the current wetting characterization methods. It also has the ability to measure features with microscale resolution. “Our novel microscope will promote the understanding of how wetting emerges from surface microstructures. The measuring instrument can also detect microscopic defects of the surface, which could allow coating manufacturers to control the quality of materials. Defects in self-cleaning, anti-icing, anti-fogging, anti-corrosion or anti-biofouling products can impeach the functional integrity of the whole surface,” said Robin Ras, a professor from Aalto University. The Middle East’s first major international research center has achieved a major milestone. The research center, dubbed SESAME (Synchrotron-light for Experimental Science and Applications in the Middle East), has begun conducting research in its new synchrotron light source facility. In the works since 2004, SESAME was officially opened in May. Based in Allan, Jordan, SESAME’s members are Cyprus, Egypt, Iran, Israel, Jordan, Pakistan, the Palestinian Authority, and Turkey. The users of SESAME will be scientists and students in the Middle East and neighboring countries. The SESAME synchrotron is currently operating with a beam current of just over 80 milliamps. Eventually, the system will be scaled up to 400 milliamps. Synchrotron light sources are circular or storage ring structures. They are designed to accelerate charged particles, which in turn emits light. Synchrotron light sources are used for various measurement techniques, such as X-ray diffraction and scattering. 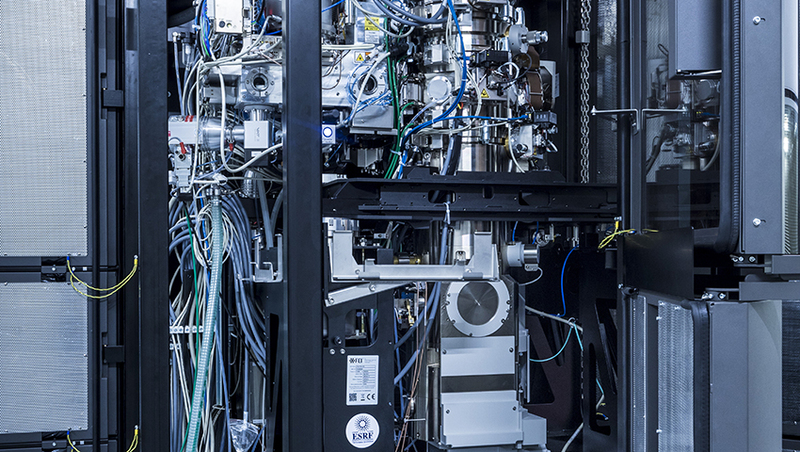 Recently, researchers from the SESAME facility saw the first monochromatic light through an XAFS/XRF (X-ray absorption fine structure/X-ray fluorescence) spectroscopy beamline, signaling the start of the laboratory’s experimental program.